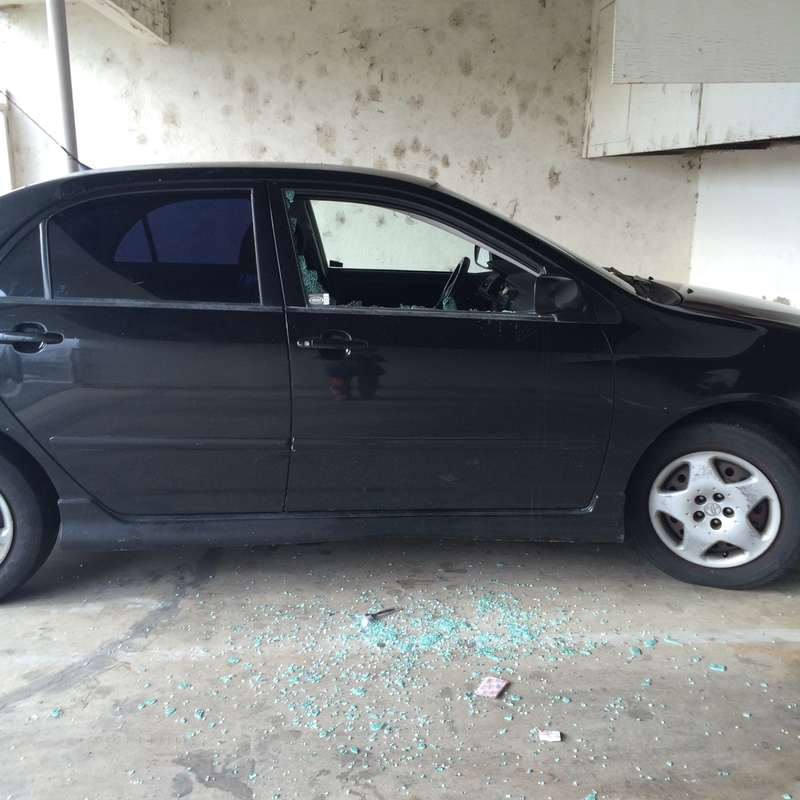 So… what’s a normal reaction to learning that your car window has been smashed, and your car most likely burglarized? 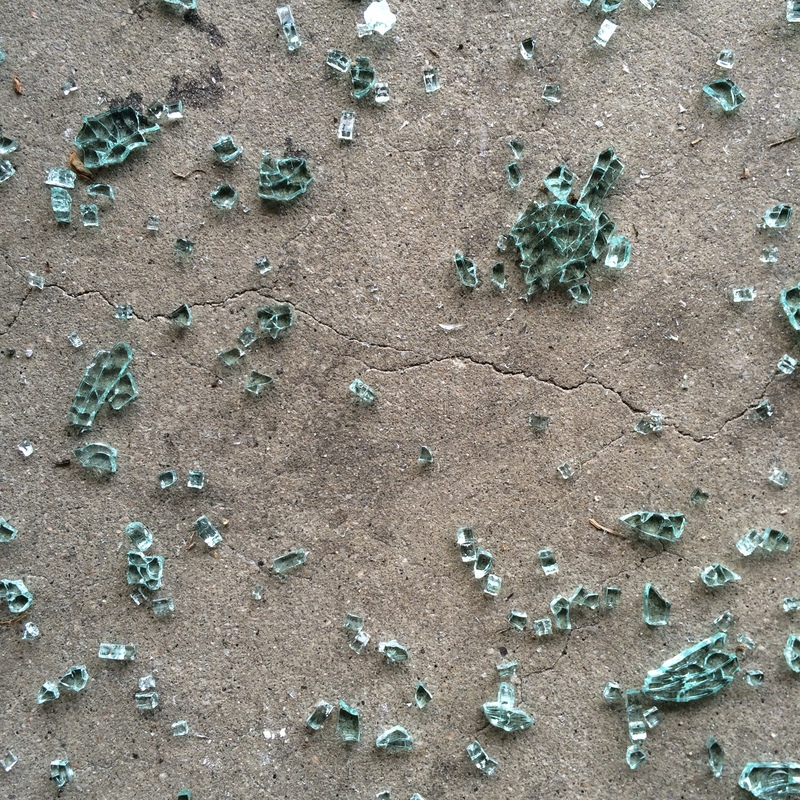 In my +/- 14 years in L.A., I have never been burglarized, and my property has never been vandalized. OK, when I first moved here, my purse was stolen at a party. Bad first impression of L.A. And my car got hit within the first month of owning it, but since then, also no real damage done. But this isn’t really the story of my car. I’m only talking about this because I’m actually a bit in awe of my emotional reaction to the situation. It was like watching a different person. And I really believe it was because of meditation and mindfulness. This is not a usual occurrence. I still have some emotions that get way out of whack, making me feel like the Hulk at times (aaaahhhhggggg, Hulk smash!!!) but I’m really thinking that eventually, that will be a thing of the past! Petty irritations be gone! I’ve been just drenching myself in all sorts of reading material on how to get rid of stress and worry (check out Dale Carnegie’s How to Stop Worrying and Start Living) and I think it’s beginning to set in. The meditation and prayer are definitely powerful when emotions are overwhelming me and I need to give up the need to try to control a situation. And I’m faster to frame things in a more positive light now, which is why when I overheard my neighbour talking to someone about a car…. realizing she was describing my car… having been broken into… I didn’t go into a panic. I closed my eyes again. Because really. It’s been done, right? I’m not going to stop someone in the action. Whatever I have to do is what I have to do, and surely it can wait 15 minutes. Unfortunately she woke me up knocking on my door (really couldn’t wait ’til I took the dog out or something?) so I walked down to see the damage. The thing that bothered me most was that my Elsa cape appears to be missing. That is a frustrating loss because it meant I had to pay over $80 to order a new one to “rush” ship from China, and make a temporary cape for the meantime. The insurance company told me, “oh yeah, the window will cost more than $250,” which is my deductible… and I wasn’t pleased about that, but ya know…. There are things I can’t change and just have to accept. 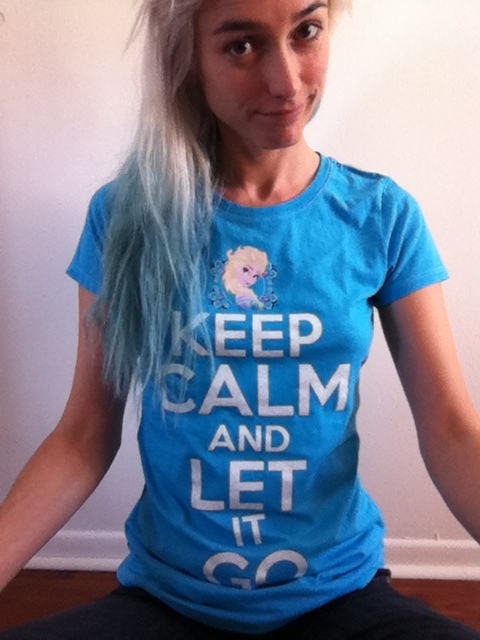 So I threw on my Keep Calm and Let It Go shirt (remember that?) greeted the police, and then headed out to the repair shop. There, I had a rental car waiting for me (free, thank you Geico. Just $11 for insurance, which makes no sense, because Geico is insurance…) and one of the guys told me that if they could, they would knock down the price if there was minor cosmetic damage. I enjoyed my Dodge very much for a few hours, before returning for my car, and a bill of…. $50. There were some positive side-effects to this whole thing. I spent a minute talking to my neighbour, who is so loud sometimes I feel like she’s in the room with me. And I feel like we have more compassion on people if we know them better. Sometimes. I did hint that the walls and windows were very thin…. lol. Couldn’t pass up the opportunity. I also realized that maybe my love of taking photos of details could be put to good use. I’ve had a slow introduction to Instagram and finally decided that maybe I can share photos of small details, especially in “bad” situations, to encourage myself and others to slow down, to pay attention, and to see the beauty in everything. I like taking pictures, but never really knew how to share them, or what would make them worth sharing. Now I have an idea. I’m sure I’m not alone in it, but I do have my own life and circumstances that will influence my photos. If you haven’t caught it yet, my Instagram feed is rigged up to a page on this website (look up at the menu bar). So please follow me if you’re interested! Let’s hope that terrible, inconveniencing, expensive accidents don’t come along too often, of course. But when they do…. I feel like every day I’m a little more prepared to deal with them. And it makes me so happy I want to squeeze someone!! I thought my mind would just always and forever be clinging to things, whining and upset, but it’s not true! I thought I would probably always feel these things, and only learn how to control my reaction. But waking up and dealing with my car on Monday showed me that no, the feelings can actually be absent, too. 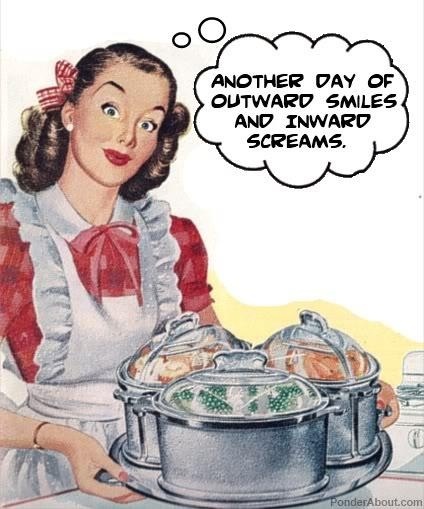 I really can be cheerful, maybe even happy, when outward circumstances would make the average person boil over. It’s awesome. Give me more of that. I’m liking where life is going.